» Blog » Need Pressure Washing in Portland? There is almost nothing we Oregonians love more than when Spring time comes around! It means less rain (hopefully), budding flowers and blossoming trees. The more time we get to spend outside, the happier we get. Am I right? Spring time also brings along, Spring cleaning. Who knows why we choose this time of year to clean out the closets and the garage, but we do. As this is the case, this is when many of us look to for spruce up the outside of our homes as well. With the rain leaving, and the sun coming out, many think of getting some things power washed and not is a perfect time of year for it. We Offer Pressure Washing in Portland! 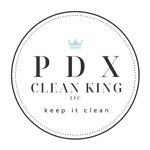 At PDX Clean King, we are dedicated to both a high quality of service, and customer service. You’re never a dollar sign to us. We will treat you right and we’ll get the job done right too! Contact us today for your FREE pressure washing estimate.